Do you depend on your iPad as much as your entire region of work, fun and gala time is spent in there? If so, what if the dark shadow casts spell on your iPad while ending you up worrying why your iPad is not turning on? Well if that happens with you, chances are your iPad may have incurred an internal system crash, unknown to you! Or, maybe that your display is altogether damaged which would have resulted in iPad won't turn on stage. Or perhaps the battery is completely dead and you haven't realized it unintentionally. No matter what the problem is, we will enlighten you with six different ways to lessen this pain of yours. 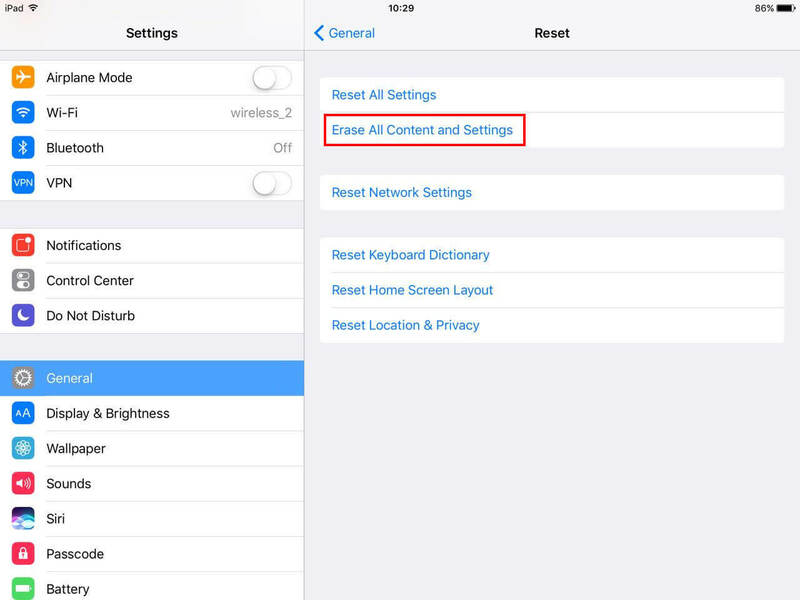 Read on to unveil these amazing ways now and learn why your iPad won't turn on! In this section, we are going to discuss the tried and tested ways on how to fix your iPad fails to turn on. One of the possible reasons why your iPad does not turn may be due to battery getting drained. So, you must ensure to fully charge your iPad for its proper functioning. It may be that your iPad is exhausted with the overload of active applications that might have irked the working of your iPad. So, the favorable option to come out of such a situation would be to restart in your iPad. Simply, hold the power button to turn your iPad off and then turn it on. The other way of combating the problem of iPad not turning on can be solved by performing a hard reset. 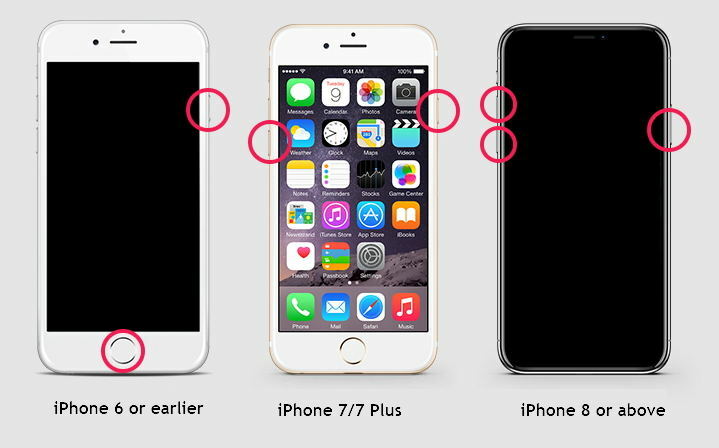 For that, you just have to simply hold the 'Power' and 'Home' buttons simultaneously and release when you find Apple logo appearing on the screen. Connect iPad to PC and open iTunes. Turn off device and long press 'Home' button. Release the button when you see 'Connect to iTunes' screen. When your iPad is in recovery mode, connect it to iTunes, and iTunes will detect it in recovery mode and provide retore option. Note: Your data will get lost after restore. So make sure you backup your files beforehand. If you do not want to restore, please skip to the 6th way which can fix iPad does not turn on problem without data loss or restore. There may be a chance of hardware malfunctioning for iPad not turning on issue. So, it's advisable for check what the hardware problems. This can be easily done by connecting to iTunes and entering into the recovery mode. 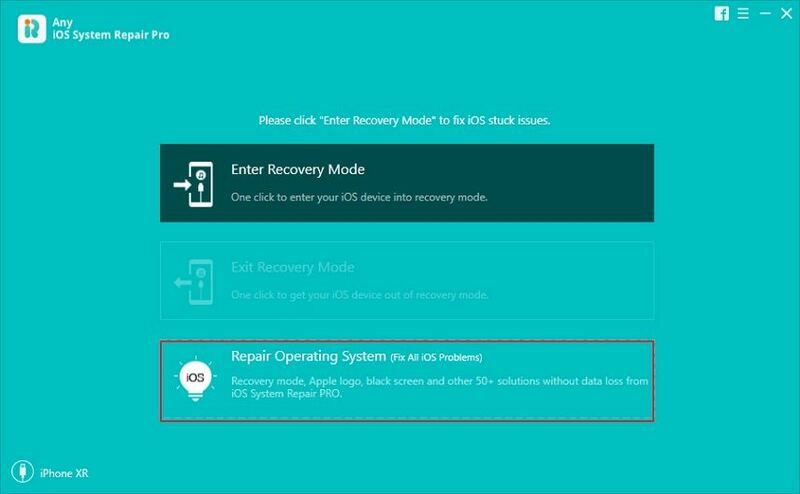 In case, you are having problems in going to recovery mode, then you can keep a stern check over your display screen. If your iTunes detects the device but not showcasing anything on the screen, you need to seek for nearby Apple service center and take help from experts. In case iTunes fails to recognize, you must cross check that your cable is connected or you don't have an unauthorized cable. Also, there's a chance that the issue is borne by iOS system. Therefore, you can consider using the following solution to get rid of the problem. In case the above methods fail to fetch your iPad to its normal state then the ultimate solution for surpassing the problems is by using iOS System Repair software. Flared to suitably work with any iOS version and model, Any iOS System Repair (ReiBoot) boosts up the performance of your iPad. With its ultra-technology, you can troubleshoot any iOS problem like iPad frozen, iPad stuck on Apple logo or any temporary halts in simple manner. To process the working of software, download Any iOS System Repair (ReiBoot) on your system. Then, connect your iPad with your desktop. Once your device gets recognized by the program, click on "Repair Operating System". The program will now have the interface like this below. Simply, tap on "Fix Now" for turning on your iPad. Once start repairing process initiates, tap on 'Browse' for setting the save path of your convenience followed by clicking on 'Download'. You are just a step away from commencing the iOS Recovery. Just tap on 'Start Repair' and tada! You are all set to repair any range of issue surfacing on your iOS deivce. Well, by now the users must be acquainted with six handy methods for what to do when their iPad won't turn on. While, the user can consider resetting their iPhone but that is only favorable when the issue is temporary. However, to overcome critical issues of iPad, you must seek help from iOS System Repair This reliable software will fix any range of issue in just a single click!